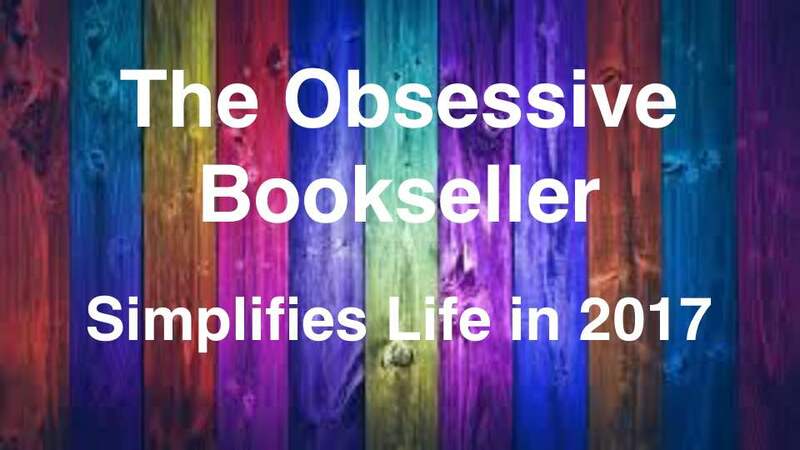 Chronicles of an Obsessive Bookseller: My Blog Snapshot! I tagged myself for this feature after enjoying it on the awesome Bookstooge‘s website (it was originally created by Stuart from Always Trust In Books). I’m using this tag to express my blogging philosophies (and status quo), and found it very interesting to see how my style has evolved over the years. I wont be tagging anyone, but if you complete it, I’d love it if you’d leave me a link in the comments so I can come check it out. :) You may want to reference the original, as I made a lot of changes. I really, really hate spoilers. Even a minor one can wreck my enjoyment of a book. As a bookseller for all those years, I can’t tell you how many books were ruined for me by inconsiderate customers (things as blatant as – “oh, you’ll love this book! Although I was a total wreck at the end when the dragon died…”). My aversion is so bad, I won’t even read overviews if I can help it. They always seem to include major plot points I’d rather discover on my own. So it goes without saying, I keep my reviews spoiler free. I started blogging in 2012 to give myself a platform for the novels I was writing. However, by 2013 book blogging became a passion in itself and has brought me a lot more joy than writing ever did. Preferred book size? (novella, tome…etc). Number of books on your TBR pile? A million. Okay, not that many, but Goodreads tells me I have almost 1500 titles on my to-read shelf, and most are just first in series. Books you have recently DNFed? I gave myself permission to be picky lately – best decision I ever made! Life’s too short to read books you’re not enjoying. Reaching my 4th year blogging was a big milestone for me. I noticed most of the bloggers I started out with petered out after about 2 years (I miss all of you). Sustaining my blog for 4 years and to still be having a ball with it feels noteworthy. Best interaction with an author? Mindy McGinnis was another awesome experience. She’s such a funny gal, and I loved the answers she gave me for what lay beyond her Not a Drop to Drink duology. Jennifer Lynn Barnes I met while working the Vegas Valley Book Festival a few years ago. I had fangirled to my DM about how much I loved “The Naturals” and she made a point to snag me when Barnes stopped by. I was so excited – I embarrassed myself a bit haha. Brandon Mull is a Utah native, and it was a total delight to host him at the BN I used to work for. He did a fun Q&A beforehand and, despite having seen a couple hundred people before me, was every bit as enthusiastic about my comments as he was to the first in line. This was when I got the first hint of the now recently released Dragonwatch. Awesome! I’d been wanting to meet Dan Wells for ages – having totally love his Partials Sequence. It was a delight to get to meet him and pick his brain a little bit about his writing process (I had done an e-interview with him before, but still had some questions). The only awkward this was that he was signing with a couple of family members (his wife and brother I think, but don’t quote me) who are also published authors. They made me feel a bit guilty about not being interested in their books at the time, as I’d traveled 4 hours just to see Dan Wells. Oh well, lol. Worst: Richelle Mead, and not because of anything she did. I was battling a huge headache, my row was near the last to meet her, even though I had been one of the first to arrive (poor moderating), and I was so nervous that I kept repeating myself. Overall, not a good impression lol. 7. And no matter what I do, that number seldom changes. TOR, Shadow Mountain, and Berkley! They always have the best ARCs on Netgalley, but beyond that, they’re also the ones I’m considering sending my manuscripts to (I’m not even close yet). I think my blog is linked to most social media sites, but I’m only active on Goodreads (are we friends on there yet? If not we should be – find me here). Average amount of time you spend networking? All f*cking day. Although I don’t look at it as “networking” so much as just spending time with my online reading friends. I was recently made a moderator for my favorite Goodreads group – Fantasy Buddy Reads – and I noticed my time spent on social media didn’t have to increase to accommodate it lol. Sum up your blogging style in 5 words? Recommending Brilliant Speculative Fiction Books. Next time I’ll try for a Haiku. 18). A blog you looked up to starting out? I had a few that dazzled me when I was just getting started, but I don’t follow them anymore. One I looked up to because she was a brilliant writer, had an amazing blogging concept, and had over 20,000 followers. She help me find my blogging “identity” as The Obsessive Bookseller because I appreciated how well branded her site was. However, due to infrequent posting and the fact that her and I did not enjoy the same type of books, I’ve since stopped following. The other blog I’ll admit to unashamed blog-envy. She obviously spent a lot of time and money beyond what I was able to afford, and because of that her blog looks sooo professional. She also attended all of the big book conventions and was practically swimming in ARCs. I was jealous, lol. I eventually stopped following because her reviews always had a lot of negative undertones and I found her somewhat unfriendly. Just a few of my favorites from the last few months. Some awesome titles! I’ve met Sanderson twice and he’s even nicer than you can imagine. If you think of the most generic “nice guy”, Sanderson has him beat by a mile. And he likes his fans. Congrats on sticking around for so long! There are times I get depressed with how people just seem to fade away but that’s Life I guess. As long as I can keep on finding new people to replace those leaving. And thank you! I figured anything past the 2 year mark was gravy, so I’m ecstatic to have been doing it for 4. But I know exactly what you mean – it’s difficult to see all of these people I really enjoyed talking to fade into oblivion. Good point… And I guess if you live near a bigger city it makes it easier too. I’d be looking at a 4-5 hour drive to get to where he usually does signings in Utah. I’m actually closer to Vegas, but he doesn’t seem to go there. Sigh, one day. Walking distance?? 0_o that’s just mean haha. I’m jealous. I also find big crowds intimidating, and I bet his signings are ridiculous. Ooh!! I’ve met Correia, but haven’t read any of his books so I couldn’t fangirl haha. He played a big part in a writing convention I went to a few years ago. I drove 3.5 hours to that one. I’d do it happily for Robin Hobb and Anthony Ryan at the moment, but only just. Where do I start? That has been my only holdup. Do you like Urban Fantasy, Noir’ish Urban Fantasy or Fantasy more? He’s got 3 series. Grimnoir Chronicles is a trilogy that is finished. I thought it was the best and bought them in hardcover. Monster Hunter International is modern UF with guns. LOTS of guns. It starts off a bit rough but I was finding I liked each successive book better. He just started a fantasy series that is based on Indian mythology, entitled Son of the Black Sword. All three, depending on the mood :-) I will take your word for it and start with the Grimnoir Chronicles, although they all sound good. Thanks for clueing me in! I can’t believe you have been doing this for four years and I only found your blog a month ago. I truly believed I knew most of the long time spec-fic bloggers. Nice !! Thanks for the honest and inspiring answers Niki ! And waw, 4 years blogging while keeping the fun and joy of it is really great ! Congrats ! That would be awesome! :) We’ll see if I can catch up by then haha. At the rate I’m going, we’re looking pretty good. I rarely read books in a series back to back, but had KD been available, I would have gobbled them all up by now (I’m at the mercy of my library because I’m try to stop spending so much on books). I think I’m going to do this tag. This is an interesting one. Oh good – at least you knew about it. That’s my guilty conscience taking over because I felt a little weird changing things haha. You linked back to his anyway. That seems fine. I’ll do the same thing. Thank you for this excellent and dare I say inspiring post!? I’ve been seeing The Gathering of Shadows A LOT lately on Goodreads reviews as well as here and I look forward to beginning the series soon! :) Same here! My TBR pile seems to grow each day, with every spare moment I spend on Goodreads, reading posts from book bloggers, as well as at the bookstore (which is adds up to about 95% of my day). Thank you for the much needed and encouraging post! :) I came into the blogosphere feeling a bit anxious and a little disoriented but with time and communicating with other book bloggers I’ve quickly adapted and fallen in love with the openness of book blogging in expressing my thoughts and opinions on several bookish topics. Omg!! I’m so sorry to have missed this comment!! And GR is even worse for my TBR than being a bookseller ever was! I’ve read like 50 books this year so far, and have added over 300 new series too my list. It’s never ending haha! Hello there fellow book babbler! No worries, I know it’s easy to get lost in the jumbling every so often! Heavens! Myself, I’m so behind in my TBR!. I have the tendency to read extra EXTRA longgggggggggg novels (The Goldfinch my Donna Tartt, my personal favorite read so far this year) so it takes me a few extra days to finish. OMG really? Definitely planning on starting the Shades of Magic series soon! I’ve been book blogging for just less than a month now and I’m absolutely LOVING it so far. The book blogging community is so encouraging and I’ve found it to be a wonderful way to talk about, recommend, and hear about how others respond to bookish topics. Yes exactly! I’ve been picking up a lot of robust high fantasy books lately, so it takes me about three times longer for those than, say, a YA Fantasy. It makes the tbr seem so much more daunting when I’m on this kick haha. Well, welcome to the community! And I absolutely love your “book babbling” slogan – it’s so perfect!